Happy to report that it looks like the man cave within the man cave (my new hobby room that is) will be ready inside a week. We shall see. 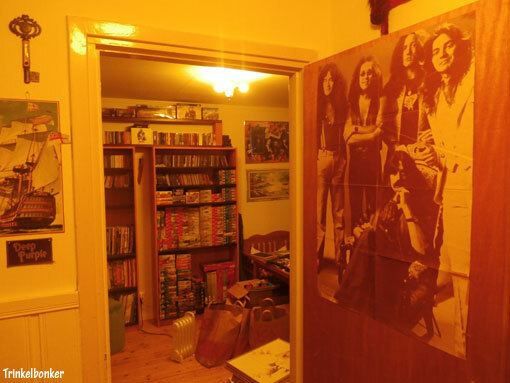 Here is a view looking in, I think that old Deep Purple MK4 poster from German publication POP looks rather swell on that door. If you close that door, you get a clue to what is inside by that cutout of an old H.M.S Victory box from Airfix on the left side, I kind of like that little detail. Hey, it is a man cave after all!